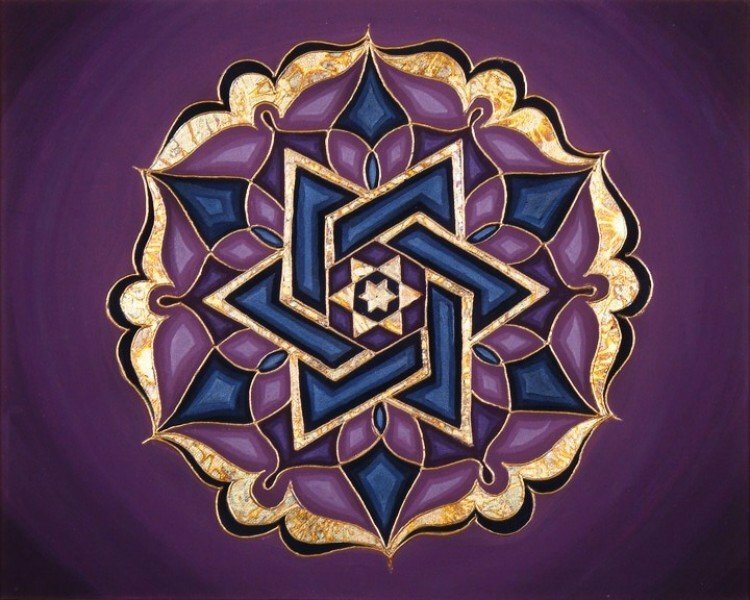 Steve’s Star | Artwork – Store – Tammi B. Ph.D.
Hand painted mandala, 16" x 20", acrylic, mixed medium, gold leafing and Swarovski crystals. Created in partnership with my husband Steve. The intention was to evoke inspired creativity and deepen in our relationship.